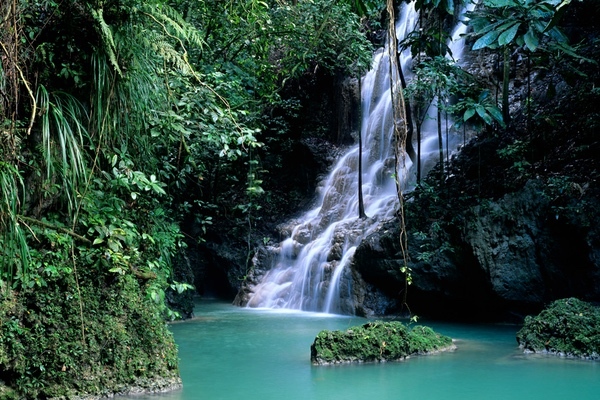 A comprehensive list of waterfalls in Jamaica. Many of the twelve falls below are lesser known, some on private property, most are off the beaten track. Located in the rio grande valley, the falls are owned and operated by the Thaxter family. Overnight camping is allowed. 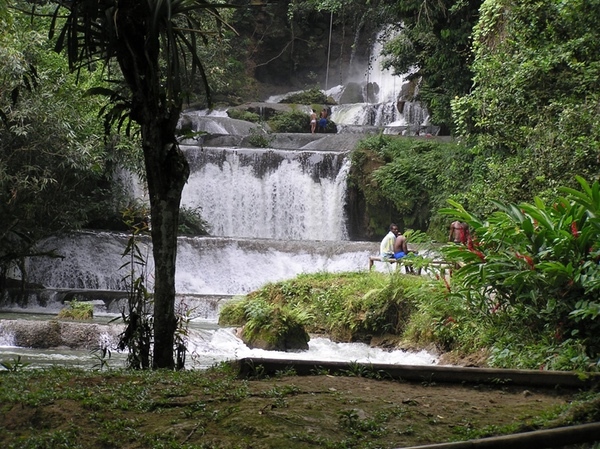 7 trails ranging from 4 to six hours surround the scatter water falls. There is a 20min easy hike to the falls after crossing the Rio Grande at Berrydale, on a bamboo raft. The hike meanders along the bank of the river through banana fields to a tributary called the Sarah, where the Scatter Falls tumble into the river through a curtain of ferns on both sides for into a pool where you can take a refreshing dip. 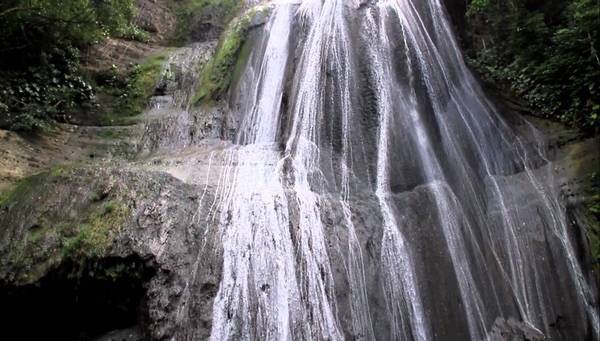 Located on the south-eastern section of the island, Reggae Falls is located in a small village called "Hillside" in the parish of St Thomas. Also known as Damhead, the falls is actually an old dam for hydro-electric power. It is unclear why the project was abandoned, though a common explanation is that it was destroyed by a storm. The route there is close to Stony Gut, a small historical village. Paul Bogle, a Jamaican National Hero was born in St. Thomas, and it was there that the Morant Bay Rebellion began. Bogle, his brother Moses, and the people of Stony Gut undertook the long walk to Spanish Town to air their grievances to Governor Edward Eyre about the injustices and oppression being heaped on the backs of the black people in the parish. Although the falls are the closest and most easily accessible by residents of Kingston, the nation's capital, they are still relatively unknown, and on most days no more than a handful of people actually visit. The falls are located just inland from Bull Bay also called Nine Mile because of its distance from downtown Kingston. The town is associated in the minds of many with Rastafari, since it is one of the largest settlements of Rastas on the island..
Reach Falls has over 23 species of ferns a variety of birds including the black and yellow billed parrot. 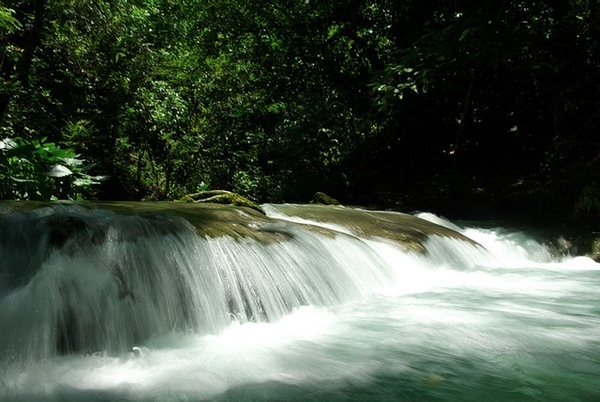 Reach Falls was first discovered by runaway slaves from plantations in the neighboring parish of St Thomas who sought refuge in the hills of the John Crow Mountains. 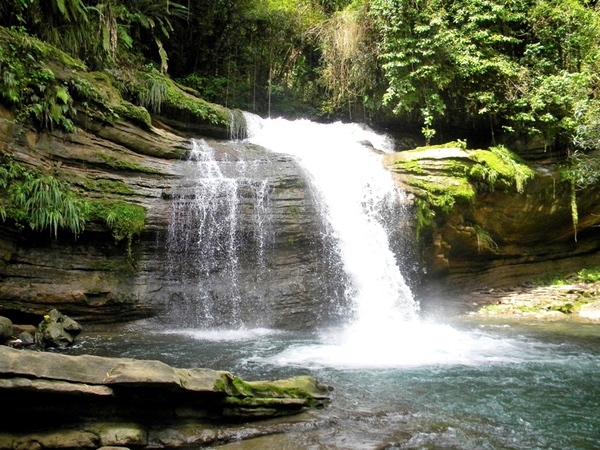 Located between Hope Bay and Port Antonio, Somerset Falls sits behind a hedge of bright red ginger lilies and green bottlebrush plants. Developed on an old sugar plantation that extended from the mountains to the sea, Somerset is nestled within a garden, complete with ponds and waterfalls. Overflowing with crotons, bamboos, ferns, cocoa plants, indigo and moss-covered trees, the garden grows on the banks of the Daniel River. 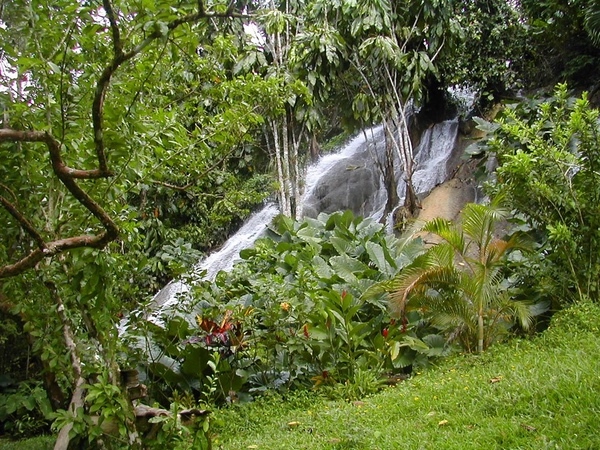 YS Falls, a nature-based attraction in Black River, St Elizabeth , offers an experience set around the beauty of the waterfalls surrounded by flora and fauna, many indigenous to the area (eg. Bromeliads). Located within a working cattle and thoroughbred horse farm, YS Falls is a seven tiered waterfall set in a lush natural environment approximately 20 minutes drive from the town of Black River. Located near the historic Nanny Town, Portland, where escaped slaves known as Maroons hid and settled. Nanny Falls flows into the Stony River. The settlement was led by Granny Nanny, a run-away slave originally from Ghana, West Africa. Over the span of 50 years, she is reported to have helped free over 800 slaves, offering them refuge in an impenetrable mountain stronghold spanning approximately 600 acres. 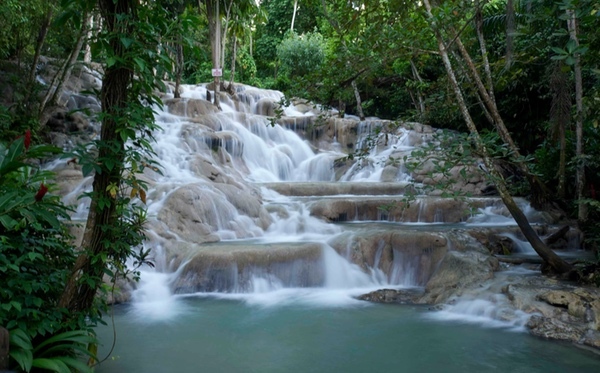 Towering 180 feet (55 m) high, the waterfalls are terraced like giant natural stairs with many small lagoons interspersed among the vertical sections of the falls.The falls empty into the Caribbean Sea at the western end of an attractive white-sand beach. It is fed by spring water, rich with calcium carbonate. Climbing the waterfalls is popular activity which can take up to an hour or more including leisurely breaks to enjoy the lagoons. Lush, green vegetation shades the falls from the sun which keeps the area cool. There are also stairs, built alongside the falls for those who which to enjoy withpout getting wet. Its location is also historically significant, close to where The Battle of Las Chorreras was fought in 1657, when the English defeted the Spanish Expeditionary force from Cuca. Named after Tacky, a Coromantin (Coromantee) slave from central Ghana, who led the rebellion against the British in 1760, reputed to be one of the most significant slave rebellion in the Caribbean. Located near Islington in St Mary, in a small district called Roadside. The falls are not operated on a commercial basis and are accessed via a private yard, so best to arrange a visit through a local guide vs just showing up. Accessing the falls, is via a very steep, slippery, heavily overgrown tract. The remote waterfall rages over a high cliff during the rainy season, with enough force to sweep you away into the deep ravine below. There are caves under the huge rocks at the ravine, leading to a clear cool underground lake where Tacky hid and conducted his assaults on the british. Mahoe Falls are located on Milford River, which passes through the grounds of the Coyaba River Garden and Museum. It can be visited as a separate attraction, but most people see it as a natural extension of the gardens. 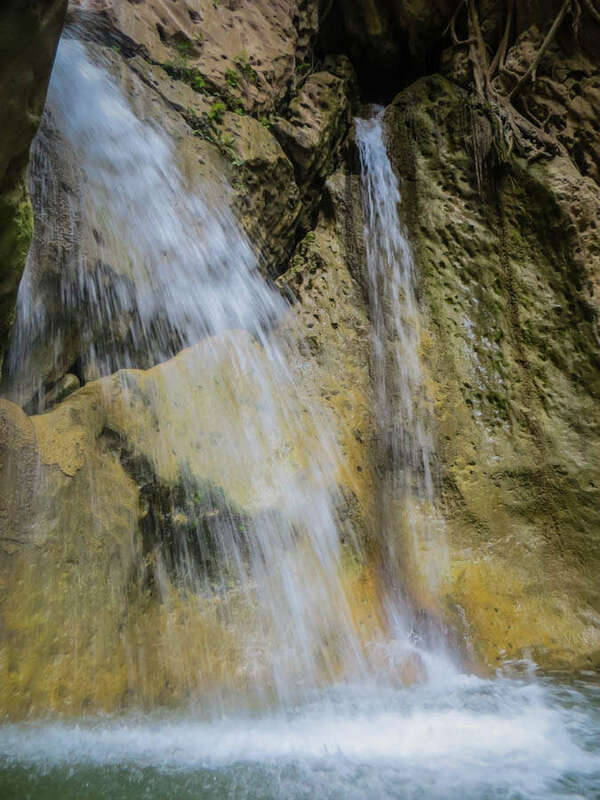 The many tiered waterfall is a beautiful play of rocks, vegetation and water that can be viewed from several vantage points, You can swim and splash around at the base of the waterfall, or in the pools at the upper tiers. Coyaba Gardens, is located on a former estate, Shaw Park Plantation, dating back to the earliest days of the British colonial period. The name of the park comes from Arawak language, and it means paradise. 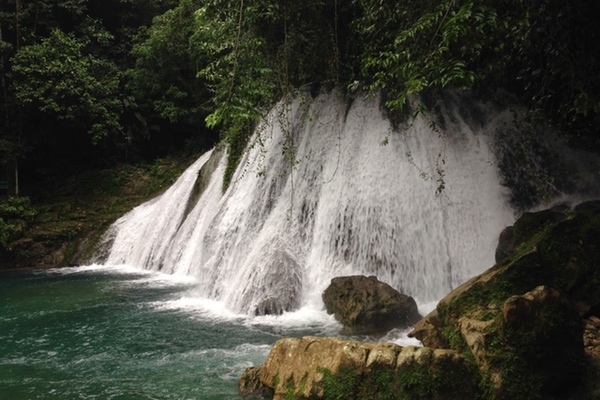 Approximately 90 minutes from Negril by car, Mayfield Falls is located on the Mayfield river, a tributrary of the Cararita river, in Glenbrook, Westmoreland. The area has an abundance of plants and wildlifewith 52 varieties of ferns. 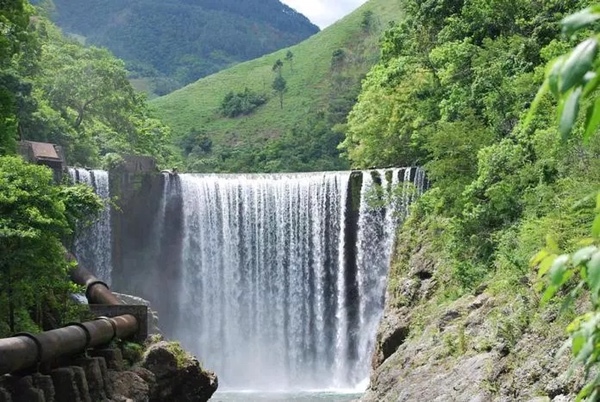 The falls of which there are 21, is relatively easy to climb, each ploughing into a series of swimming pools. The tallest of the falls is called The Washing Machine and is known for giving vigurous massage from the cascading shower of water into a relaxing lagoom. The atmosphere here is less rushed and commercial than Dunns River which allows for a more leisurely exploration and sufficient time to enjoy in each pool. 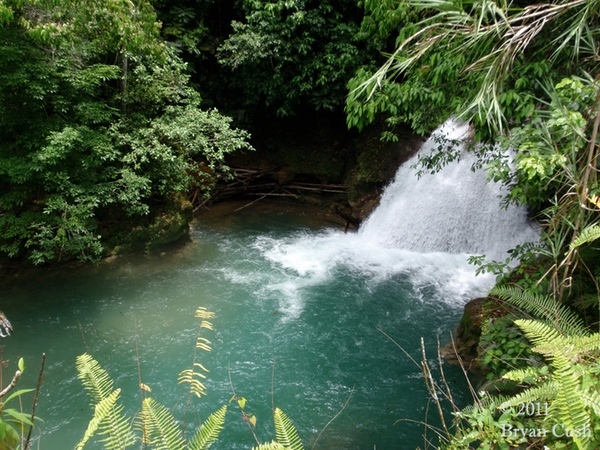 Irie Blue Hole & Secret Falls attraction, also called Island Gully Falls, is located on the White River east of the town of Ocho Rios. Travel approximately 4 miles east through local communities and then head into the rural hills. The falls cascade into a beautiful blue pool that's about 25 feet deep, deep enough for cliff jumps or for playing Tarzan from rope swings. A lot of fun for good swimmers and divers of all ages. There are small caves to explore.